Software Engineer programming on Python, Rust, Lua, Bash and other open source idioms. Herbivore, Vegan Animalist, Biker, Pythonista (A life philosophy beyond programming with Python language) & Nominated Member of Python Software Foundation, Teacher, Author, Conference Speaker, Developer and contributor on some Open Source Projects, and in spare time is also Software Artist at Red Hat Quality Engineering team. Hacktoberfest 2018 Hacktoberfest is an amazing campaign by Digital Ocean and Github, you contribute with at least 5 open source Pull Requests and then you get a T-shirt and some stickers. Maintainers are encouraged to label and organize the issues to be worked on. I will list here some of my Projects and the issues I am expecting to get some contributions. It will be a day of tutorial and a day of lectures for over 160 people. At this moment the organization is in search of sponsorship to enable the coming of one of the core-developers to be Keynote of this event. 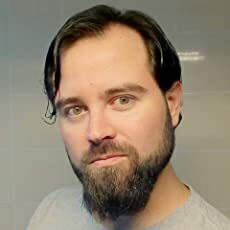 py2rs From Python into Rust let x = Rust::from("Python"); A quick reference guide for the Pythonista in process of becoming a Rustacean. Login Extension for Flask There are good and recommended options to deal with web authentication in Flask. Flask-Login Flask-Security Those extensions are really complete and production ready! So why Flask Simple Login? However sometimes you need something simple for that small project or for prototyping. 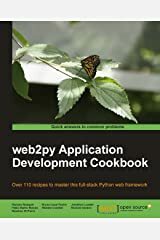 Deploying Python Packages to PyPI using Flit The traditional way of package deployment in Python is using a setup.py script located in the root of your project and then running python setup.py sdist upload to release a new version. It works by using distutils, setuptools or distribute and there is also twine which is a command line application to manage uploads. Recently I talked about The Quality of The Python Ecosystem in "Caipyra" a very nice conference in Ribeirão Preto, Brazil. Here are the slides (in English and also in Portuguese) and some pictures of the awesome event! Recentemente falei sobre a Qualidade do Ecossitema Python no evento "Caipyra" em Ribeirão Preto, Brasil. 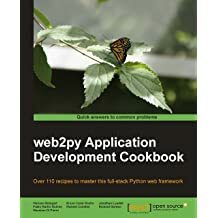 O que são web APIsConsumindo web APIs com PythonO que fazer com os dados?Publicando web APIs com Python e Flask. Iluria Ilúria é uma empresa brasileira de e-commerce que fornece uma plataforma bastante interessante para quem está começando uma loja virtual e precisa de algo simples e funcional. O sistema do Ilúria é realmente simples e de fácil uso, por isso continuo recomendando essa plataforma caso a sua necessidade seja básica e seu negócio ainda estiver começando.